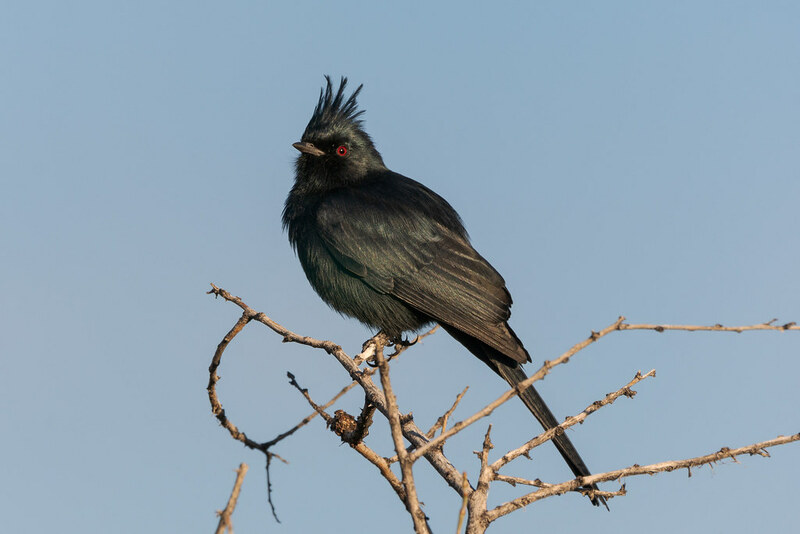 One of the birds I hoped to see after we moved to Arizona was the phainopepla (pronounced fay-no-PEP-la) but after not seeing one for months I thought it was unlikely. 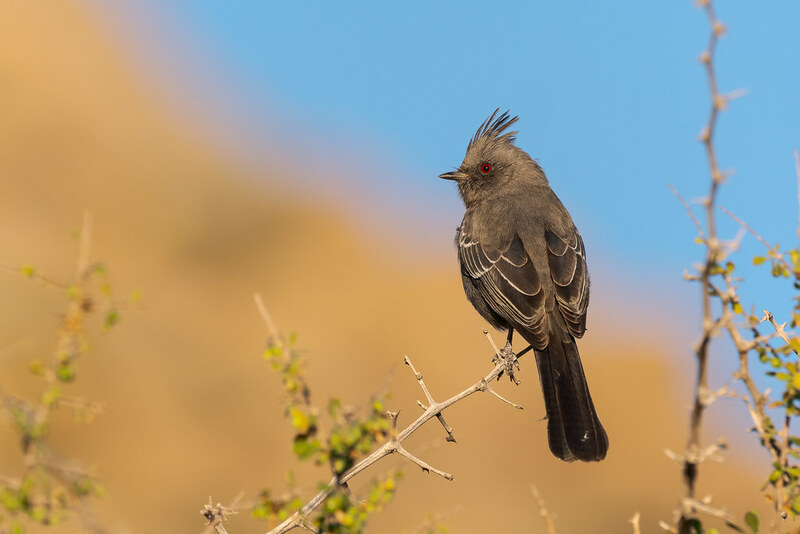 In October I got some distant looks at a black bird with white under its wings and after hitting my field guides realized I had finally seen one of these silky flycatchers. It took a bit longer to see them up close but in late November I got a long look at this female early one morning on the Marcus Landslide Trail. 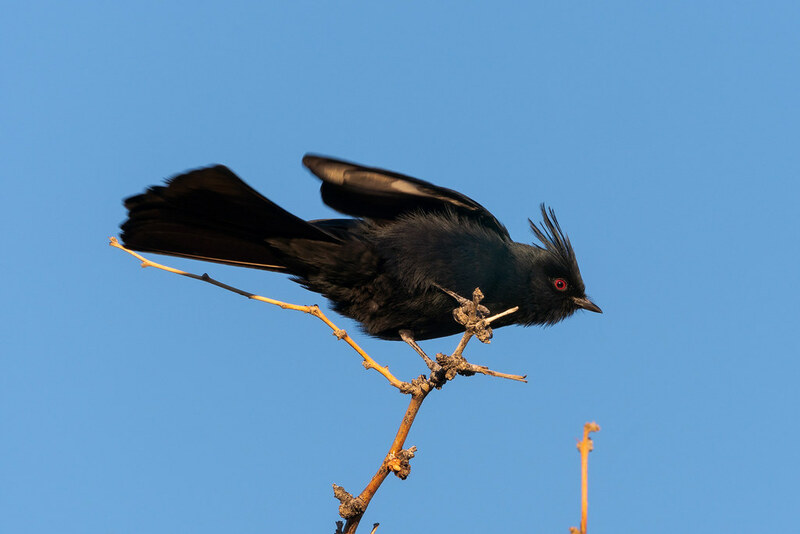 Yesterday I got a long look at a male, they were thick as thieves around the desert, but this morning it was cold and windy and I didn’t see a one. According to one of my guide books they should be common from now until early spring so I’m looking forward to our next meeting.